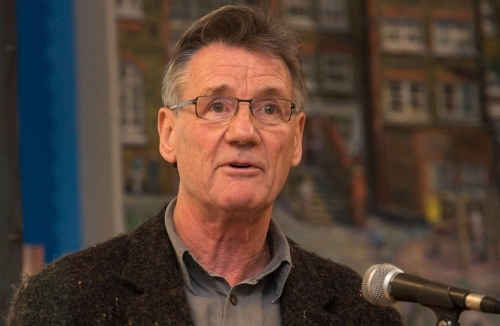 Michael Palin: The Greatest British Traveler Of Our Age? And lest you think someone who achieved fame and wealth so early in life had little to learn about the world come the age of 46 when he filmed his first travel series, think again. Travel, it seems, affects everyone in profound ways, fame or no fame. It’s a bit like when you’ve bought a car and you suddenly see everyone on the road has the same car as you. You notice things related to where you’ve been. Lots of places in the world mean more to me now than they would if I hadn’t been there. I went to Pakistan just after 9/11 and you thought you’d probably be beaten up on the street — but not at all. They want to know about you, why you’re there; you’re not armed therefore not a threat. You can go to most countries and find that people are operating on the level of human contact — they have families, they have children, they want to get their food from the market, simple things that we all do — and that’s what keeps the world going. For those of us not in the U.K., rest assured, his entire travel back catalog is available on Netflix.